Another entertaining workout from Illustration Friday's continuing stream of weekly themes to challenge and tickle the creative muscles of aspiring image makers. "...and on the OTHER hand, we're gouging the stuffing out of you on your auto insurance premiums, but since you're mandated by law to buy it if you're going to try to get more than 5 miles away from where you live (& you don't live within walking distance of a train/bus route), we're going to keep gouging you for the maximum amount the market will allow. __________ up your backside ♪ ♫..."
We found this URL on your site. This is the search software used by Google, which collects documents from the web to build a searchable index for the search engine. Thanks for the kind word. These weekly illustrations for Illustration Friday makes for fun, unconventional approaches to common themes. Haven't you seen the Nationwide commercial with the 3-handed guy doing shadow puppets? I rarely watch TV & I saw it. That's what I was riffing on. This is very interesting, you are much of a blog. I'm like you in my social networking site! 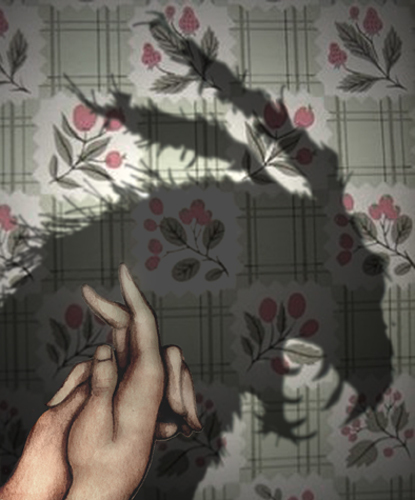 I like the juxtaposition of the hands appearing gentle and perhaps even feminine with a kitchen-like wallpaper, in opposed to the savage shadow appearing evil and ready to attack. Didn't get it. You must realize I watch NO television. Just trying to keep you on point. The secret behind this p90x fitness extreme training system is an advanced training technique called Muscle Confusion and you won't believe your results dinmo0608! Once when blog page reading became a big interest of mine, however I just got bored stiff after doing it for long. At present, I simply have a tendency to go through the pictures and the head lines plus the subheadings, but stumbling right here makes me go through this page, and I had been thankful, seems like many thanks to you, my weblog reading interest seems to have returned. Pretty darned scary! I really like this concept, and it's executed beautifully. No problem. If I go that obscure again (which I'll try REALLY hard to avoid), I'll include a brief reference (*) at the bottom. Really weird... the thread is about shadows, and we get all these spammers for sunglasses. Yeah...I'm pretty much hosed. Hope y'all can forebear. inspiring insights you are sharing. I love the way you are sharing it. Is there any way I could find out for more? awesome insights you are sharing. I admire the way you are sharing it. Is there any way I could sign up for more? Nice publish, was fun reading through that. Might I question exactly what the designer appeared to be thinking as soon as developing this particular blog's style? Would it be a standard a single or perhaps have people ensure it is yourself? It isn't definitely this harmful... nevertheless can develop a lot, I had point out. This page contains a single entry from the blog posted on June 7, 2011 12:21 AM. The next post in this blog is Commissioned Book Cover .